Billy Donovan is a former basketball player and currently the head coach of the Oklahoma City Thunder of the NBA. He started his career as a college basketball player. As of 2019, Billy Donovan serves as a head coach for Oklahoma City Thunder and reportedly earns around $3.9 million as his salary from his current club. Further, he has an estimated net worth of $14 million. Currently, he is married to Christine Donovan and has four children. As of 2019, Donovan has an estimated net worth of $14 million. The former professional basketball player earned most of his net worth as the head coach of the Florida Gators men's basketball team at the University of Florida. He has been the head coach of the Florida Gators since 1996. He reportedly signed a six contract with the University of Florida and brought the University of Florida from mediocrity to back-to-back national championship. Billy Donovan's salary is $3.9 million. As his successful basketball career as both player and coach, his personal life is also successful. He married his high school sweetheart, Christine Donovan. They met back in their high school and after several years of dating, in 1990 they got married. The lovely couple is blessed with four children, three sons, and a daughter. His son William Donovan III followed his father career path. He decided to pursue a career in coaching. In 2016, he was named the head coach of the Saint Francis High School basketball team. 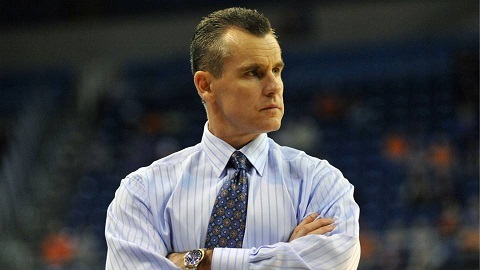 Billy Donovan was born on May 30, 1965, in Long Island, New York to Bill Donovan Sr. and Joan Donovan. He grew up along with a younger sister. As per his nationality, he is American. Further, his star sign is Gemini. His father Bill Donovan Sr. was the third leading scorer of the Boston College Eagles men's basketball team. Donovan attended St. Agnes Cathedral High School in Rockville Centre where he played for his high school basketball team. He was regarded as a gym rat, as he would play basketball in every opportunity he gets and he would even sneak into gymnasium late night to practice. His father also coached his youth basketball teams. Billy started as Point Guard. St. Agnes won the Long Island Catholic High School Championship. Billy Donovan started his youth career after he acquired a scholarship to Providence College. He was not a starter, during his first two seasons he was able to get average two points per games in his freshman year and three points as a sophomore. In 1987, Donovan got to the 1987 All-Big East first team, the 1987 Big East All-Tournament team, and was an honorable mention All-American. Afterward, in 1987, Donovan was drafted by the Utah Jazz in the third round but was waived by the team prior to the 1987/88 regular season leading him to sign with the Wyoming Wildcatters of the Continental Basketball Association (CBA). However, after signing one year contract with knicks, Donovan was reunited with his college coach. He served as a reserve guard and averaged 2.4 points and 2.0 assists over 44 games. Donovan didn't receive any NBA offer by the end of 1988. Thus, he came to conclusion on giving up a long-term future as a professional basketball player and decided to pursue a career as a coach. 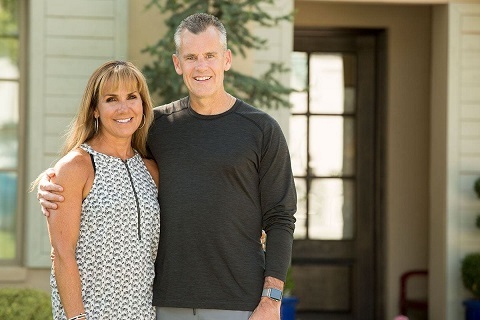 Billy Donovan has been showing some stunts as an NBA (National Basketball Association) coach, despite falling out as a basketball star. Currently, he is the head coach of the Oklahoma City Thunder of the NBA. The former basketball player has recorded great success since the initial start of his coaching career. He started up as an assistant coach at the University of Kentucky. He was able to lead the team to the final four. Following his success, Billy was then recruited by the Marshall University as the head coach. Billy's overwhelming coaching record exposed him to many NBA teams. In 2015, he penned a contract with the Oklahoma City Thunder replacing their former coach Scott Brooks. The amiable coach has been the head coach for the Thunder till date. The team hasn't won many trophies. Still, Donovan is doing his best to keep the team in position.